Princess Beatrice and Princess Eugenie have never had the best relationship with Kate Middleton and Pippa Middleton, who they think are interlopers in the royal family. Plus, they’re worried that their place in the royal family is about to get phased out after Queen Elizabeth dies, since Prince Charles isn’t as fond of keeping his siblings and extended family around. Of course, that means that Kate Middleton and Pippa Middleton will have a more permanent place in the royal hierarchy, whereas Beatrice and Eugenie will slowly lose their status. Plus, Princess Beatrice often makes cutting remarks about Kate out in the open, even though the royals rarely comment on their long-simmering feud. According to several sources, Beatrice calls Kate a ‘commoner’ to anyone who will listen, and believes that Kate and Pippa are both ‘vacuous’ and ‘pushy’. Um, it takes one to know one, no? Plus, Princess Beatrice was reportedly all set to announce her engagement to her boyfriend, Dave Clark, but she was forced to postpone after Kate Middleton’s second pregnancy was announced and all the attention was focused on her. You know, everybody knows about the feud between Beatrice and Eugenie and the Middleton sisters, but this is actually the first time we’re getting solid reports on this. I don’t believe that Beatrice would be stupid enough to call Kate ‘vacuous’ out in the open, but we all know that most of the extended royal family thinks that Kate and her ilk are ‘commoners’ and don’t belong in the royal family anyway. What do you guys think of this Kate Middleton/Princess Beatrice feud? Is it the media blowing things out of proportion, or is there any truth to it? Let us know your thoughts in the comments below. 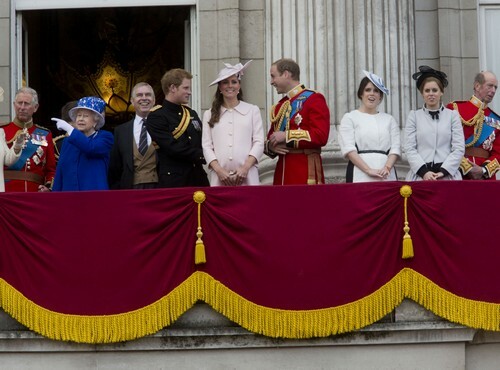 Kate Middleton And The Royal Family: Top Ten Stories Of 2012! Kate Middleton’s Pregnancy Leaving Her Position Vulnerable In Royal Family?